SS visited us at 11 months after his HT. He is happy with the results till now and plans to go for further work to cover the top and crown areas. Pre transplant status - Norwood 5. 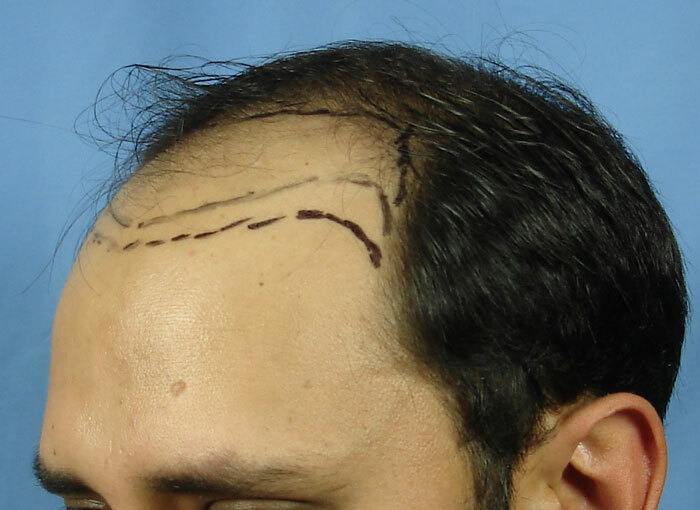 Additional information - 17 chest hair grafts transplanted in a specific area to help the patient assess their growth and the donor area healing. Nice hairline. He has used a lot of grafts while leaving a consderable area to be covered in the next sessions. It seems that he now plans to use BHT. Why did he not use FUE for the first part? over all this is good, but i have seen cases where 4000 grafts have given complete coverage to a N-5 patient. Also whats the status on the BHT grafts that were used? » grafts that were used? 4000 grafts will never give complete coverage on a NW5. No matter how curly or thick their hair is. End of story. That amount of grafts can only give an evenly spread thinning look. I personally prefer to have a decent hairline and good coverage in the middle of the scalp. if the results are good you can always go back to the crown at a later moment. » » grafts that were used? » curly or thick their hair is. End of story. » middle of the scalp. I’m glad you said that because what he said was a complete fantasy. i think this an outstanding job. Excellent hairline even though I bet it might look a little pluggy up close. That is not the fault of Dr A and staff, rather the facts of life with dark hair and somewhat thick caliber hair at that. This guy is a perfect candidate for taking some leg hair and co-mingling in with the hair line. 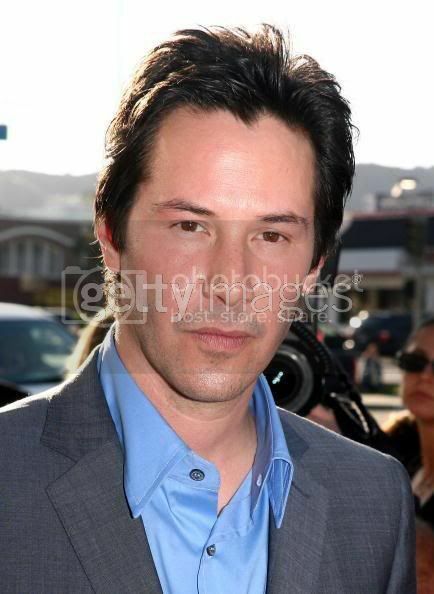 Again, I’m guessing here because these pics look great, but I suspect the hair is very “strong” hair in the hairline. I normally am not a fan of the staggered hairline, but it works great on this guy. 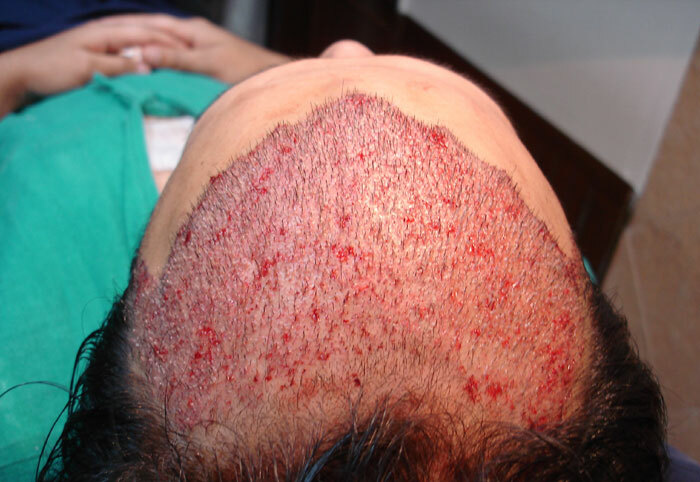 My advise to patients starting their hair restoration journey is to plan and discuss the finish stage at the onset. Is their primary focus a strong and youthful hairline or is it fuller coverage of the crown? In simple words - as far as possible, decide the final hairline you wish to go for, at the time you go for your first hair transplant. In SH’s case, for example, the focus is a top - crown based approach. SS’s case, being discussed on this thread, OTOH, is a hairline based approach. In the hairline, mostly, if not solely, scalp hair will be used. Thus, if a NW 5 or 6 wants a more ambitious/youthful hairline, but uses up most scalp hair for the top/crown, the additional beard and body donor hair will be of little help in the hairline. SS chose to start with a youthful hairline and then to proceed back from there using the remaining scalp hair mixed with beard and body donor hair. 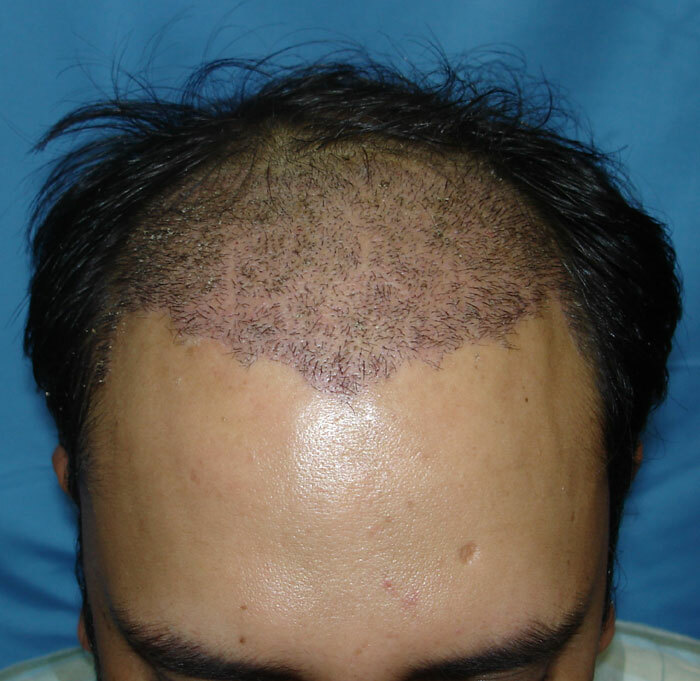 I don’t know what the forum calls this or if there is a term for this, I am trying to refer to the jagged edges of the hairline. I see what the doctor is trying to accomplish but I think the end result looks artificial. I like the wave pattern to the hairline. Very natural. » SS visited us at 11 months after his HT. » cover the top and crown areas. » Pre transplant status - Norwood 5. » area to help the patient assess their growth and the donor area healing. Where is the TOP view of the patients head? » is trying to accomplish but I think the end result looks artificial. » complete coverage to a N-5 patient. » » is trying to accomplish but I think the end result looks artificial. It is a very strong hairline with thick caliber hairs on the frontal hairline at very high density. The “feathery” hairlines have small caliber hairs on the very front lines with the density increasing gradually behind the frontal hairline. Both styles can look natural. 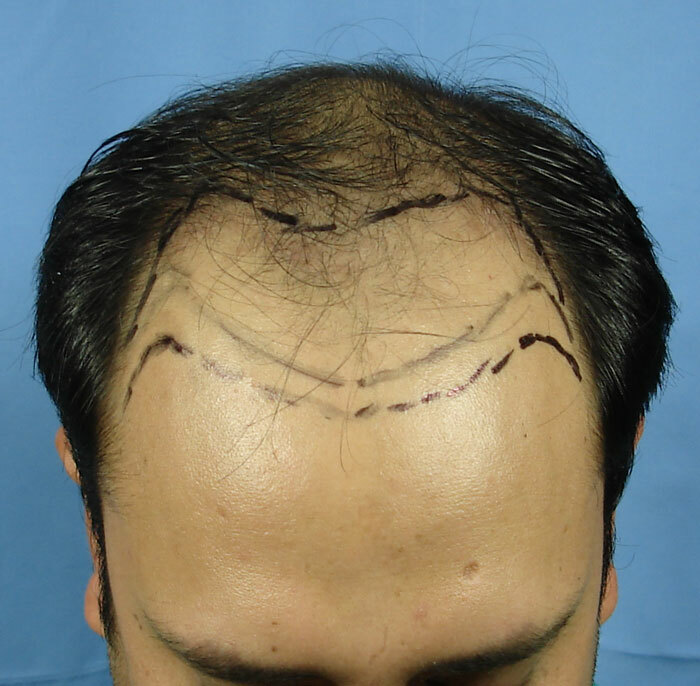 It is a matter of preference and the patient’s hair characteristics. I call it the “three peaks” hairline shape. I went for this look too a few years back after living with a pretty straight across HT hairline for many years that was starting to look harsh or “stalky”. IMO, it’s a great look for many guys. The straight across or C-shaped HT hairlines sometimes look too linear, IMO. Congrats to the patient and I welcome him to the three-peaks brotherhood! Nice results. Do you actually perform FUSE as well, or only FUHT? I’ve only ever seen FUHT results from you. 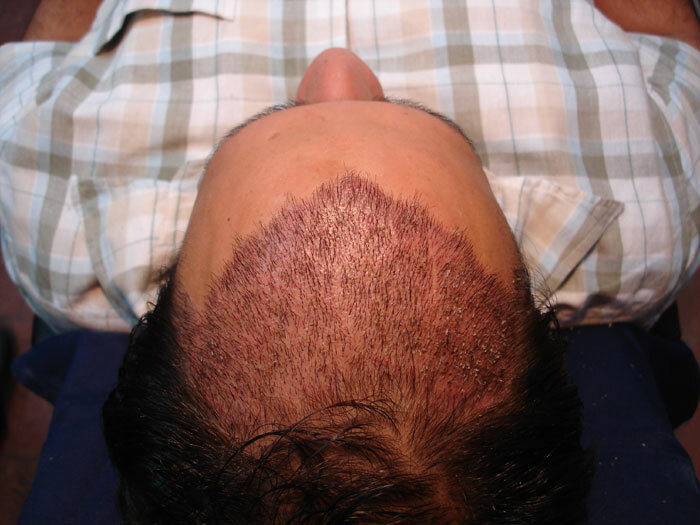 I actually agree withanothers members saying that that amount of grafts can only give an evenly spread thinning look. I personally dont like his present hairline. Next time he will get the work done on the top he should be more careful while celecting the hairline.